Purchasing a piano is a huge investment. With any big investment like this, you want to make sure the piano is going to last you for years to come. So, how long do pianos last? The average mass produced piano lasts 30 years. Hand-crafted pianos last substantially longer, often exceeding 50 years. Over time, the piano will need regular tuning, regulation, rebuilding, and other maintenance. A well-maintained piano can last in excess of 100 years. A piano is in it’s best shape when it’s brand new. Although a rebuild can bring a piano back into great playing condition, it will never be quite the same as a new instrument. Let’s take a look at some of the different stages a piano goes through. We’ll also look at what kind of things an owner needs to do to maintain it as it ages. All pianos follow the same basic build concept. Each of them features a soundboard, wooden body, hammers, strings, and other important parts. What those parts are built with really has an enormous effect on how long the instrument will last. Cheaper grand pianos, for example, are built with cheaper goods. The wood is not the finest, and not aged as long as some of the marquee brands like Steinway or Yamaha. Still, the instrument will function but expect it to eventually wear down over the course of a few years. The most important parts of a piano are the soundboard and pin block. If any of those parts go bad, the piano is effectively rendered useless. The soundboard is the speaker, and any significant damage to this part can absolutely ruin a piano. Although soundboards can be repaired, they’ll never regain their original tone. The pin block is an important part that no owner wants to see go bad. It’s actually layers of hardwood located under the cast iron plate, and its primary function is to hold the piano in tune. This is where all the pins are screwed in, and it holds the pins and string tension in place during tuning. If it suffers any damage like cracks, the only way to fix it is to rebuild the entire piano. Rebuilds are very expensive, and if the piano is a cheap one, it would not be worth investing in that rebuild. Ultimately what dictates the longevity of any piano is how well it is cared for. Regular maintenance, proper temperature control, and keeping the instrument clean has a huge impact on its life span. The early years of a piano are some of the most crucial. This is is the period of time when all of the initial care the instrument receives needs to be done consistently. When you first purchase a new piano and move it into the home, expect it to take some time to settle in. Some people make the mistake of tuning a piano too soon only to find that it loses it’s tune almost immediately. It will actually be under pitch initially, but after a few tuning procedures will get to where it needs to be. Allow the piano to sit in the home for 4 to 6 weeks before getting a tuning. Over time it will get used to the climate and hold it’s tune much longer, allowing you to tune it once per year. Most piano manufacturers suggest tuning a piano at least 4 times in the first year. Doing this early will allow the piano to avoid needing a pitch raise in the future. After a piano has been around for a few years it begins to finally settle in. After about 2 full years the pitch will be much more consistent. This means fewer tunings overall, and more predictability for the pianist. The strings will have also worked deeper grooves into the hammers, leading to some voicing concerns overall. 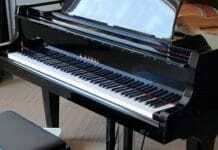 Normally a more expensive piano will have less impact, but cheap grand pianos will see the effects of this early on. A piano that once sounded bright might sound duller and visa versa. Here’s how to fix a piano that sounds muffled. What you may also notice at this point is that the action of the piano is not as sharp as it once was. I typically define this as an action that is choppy, having lost its smoothness and responsiveness. This is because there is some wear and tear happening with the rest of the action parts. The harder and more frequent the piano is played, the more likely the keys, pins, and felts have shifted out of place. A quick fix for this is to simply oil the rail pins or even just reset the keys. In some cases, a minor regulation procedure may need to take place which involves balancing the weight of all the keys. The technician will not only oil the pins, but may also rebalance the weight of certain keys so that everything is uniform. In some cases, a more expensive procedure is done to adjust the touch weight of all the keys individually. As the piano enters it’s 8th to 10th year, it will start to show some weak points. In particular, the soundboard will be more vulnerable to cracks, especially if it encounters any rapid change in humidity levels. The action parts on will also more easily fall out of alignment too. Strings that collect dust and are not regularly cleaned will also begin to rust which can cause other issues. The finish of the instrument may also begin to suffer due to the swelling and shrinking of the wood. At this point in a pianos life cycle, it will start needing major repairs. I consider pianos to be anywhere from 30 to 50 years in age at this point. Simply tuning, voicing, oiling, or making adjustments to the parts won’t have the safe effect anymore. Instead, you can expect to replace a lot of the key action parts that will have been worn down from years of use. The most common replacement parts will include the dampers, hammers, strings, pedals, keys, pins, and felt pieces. Pianos that have been maintained well will get by with only $1500 to $3000 of work needing to be done. 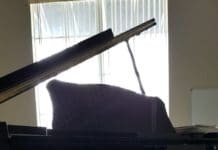 On the contrary, if the piano has been poorly maintained in regards to climate control, regular tuning and other maintenance, or if accidents have occurred, then it will need a complete rebuild. Once the wood on the soundboard and bridges starts to degrade, it’s almost not worth the investment to fix it. Rebuilding a piano is extremely expensive, and unless it’s a Steinway, you may be better off purchasing a new instrument altogether. This is because in most cases, the repair costs will eventually exceed the value of the piano. You might be better off selling the piano as is and letting someone else restore it on their own tab. A rebuild is required if the core functions of the piano no longer work the way they are supposed to. This mostly includes what kind of tone the soundboard produces, and how responsive the instrument is to touch. There are many ways to prolong the life of a piano. 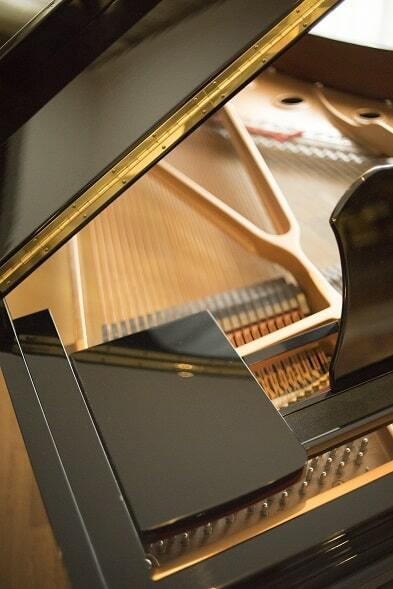 Whether the piano is new or old, it needs to be tuned regularly. A piano tuning averages around $150, and the procedure should be done twice a year. Next, it’s important to make sure the piano is thoroughly cleaned every few months. This helps prevent the strings from rusting, the soundboard getting damaged, and also preserves the visual appeal of the instrument. 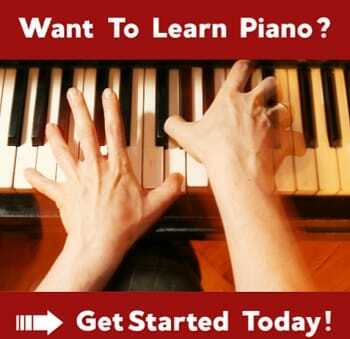 Ideally, you want to also avoid touching the inside of the piano with your hands. The oils from our fingers can actually end up damaging the strings or soundboard overtime. 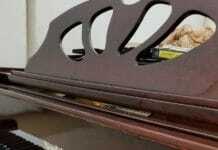 Using abrasive cloths and furniture cleaning sprays will also inevitably ruin the instrument. In addition to cleaning the piano, you should consider a humidifier system; especially if you own a grand piano. Humidifier systems are able to pump more moisture into the air or pull moisture out of it. This helps keep the action parts of the piano working in harmony and also helps prevent cracks and swelling or shrinking of the delicate woods. How long do piano hammers last? Piano hammers last 4 to 8 years on a regularly used instrument. Instruments that are only used occasionally such as performance grand pianos can last north of 10 years. Proper care of the piano hammers, regular maintenance, and voicing can help extend the life of the hammers. How much does it cost to replace piano hammers? To replace an individual piano hammer costs $20 – 25. To replace an entire 88 key piano hammer set costs between $600 -$700. The process to replace hammers takes several weeks and is labor intensive. How much does it cost to rebuild a grand piano? A complete restoration and rebuild of a piano can cost anywhere from $3500 – $15,000. The process includes replacing all of the action parts, repairing soundboard cracks, refinishing the frame, and much more. The cost depends on how much of the piano needs restoring.